The second part of my Indian adventure is here! If you watched the first part, you'll know I spent a week in India, starting at Hyderabad, then moving onto Delhi and finally heading to Jaipur. 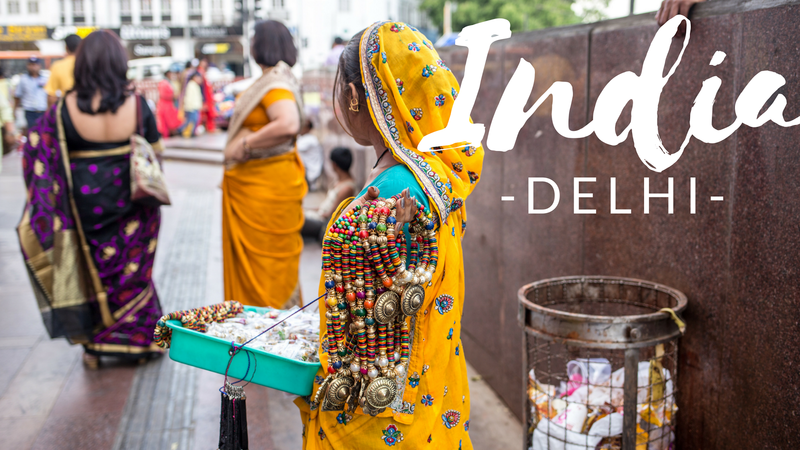 Well this part is all about Delhi, which, spoiler alert, was my favourite leg of my journey. Compared to Hyderabad, Delhi is much more of what you'd expect India to be like. The traffic is much more busy and weavy, there's more yelling, there's cows and monkeys in the street and the colours are just much more vivid. As I explained in my last post, I was staying with The Park Hotel and this time at their Delhi hotel. I can honestly say, the service is the best I have ever received from any hotel. Nothing was too troublesome and they made one of my wishes come true by helping organise a Sari fitting for me! Which you'll see in the video. So whether you are on your way to work, on your lunch break or settling in for the night, take a few moments and have a watch of the very fun video below- make sure you have the volume on, the music is one of the best parts! Enjoy! If you liked this video, why not subscribe to my channel for more fun content?